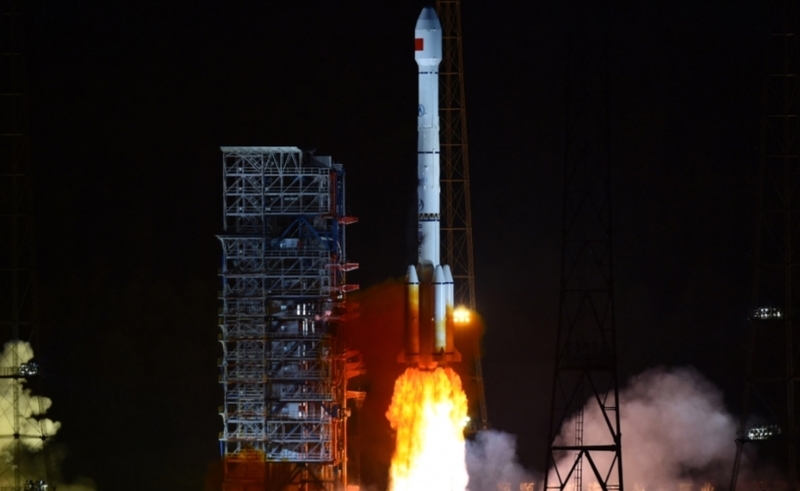 China has launched a new communications satellite to provide real-time communications between orbiting satellites and ground control stations. Tianlian 2-01 was launched at 15:50 UTC Saturday from the LC2 Launch Complex of the Xichang Satellite Launch Center using a Long March-3B/G2 (Chang Zheng-3B/G2) launch vehicle. The Chinese tracking and data relay satellites were developed by the China Academy of Space Technology (CAST) and it is similar to the American Tracking and Data Relay Satellite System (TDRSS) in concept. The system is designed to support near-real-time communications between orbiting spacecraft and the ground control, and will complement the ground-based space tracking and telemetry stations and ships to support future space projects. This launch was already expected in 2018, but was pushed back to 2019. The Tianlian-2 satellite series represents the second generation of this series of satellites. Developed by the Chinese Academy of Space Technology (CAST), the satellite is based on the DFH-4 satellite platform. DFH-4 is the third generation communications satellite bus in China with high power, strong payload capacity and extended service life. It consists of a propulsion module, service modules and solar arrays. Its dimensions are 2360mm×2100mm×3600mm, with a liftoff mass of 5,200 kg. Solar Array Power is 10.5 kW (EOL) and payload power is 8 kW. The platform can be equipped with C, Ku, Ka and L transponders. It uses a 3-axis stabilization mode and its station keeping precision is west/east ±0.05° and north/south ±0.05°. Antenna Pointing Precision＜0.1°. A service lifetime in orbit is expected to last 15 years. The first generation Tianlian satellites were launched between 2008 and 2016, supporting different kinds of missions and especially the ones related to the Chinese manned space program. The satellites were based on the CAST’s DFH-3 satellite platform. 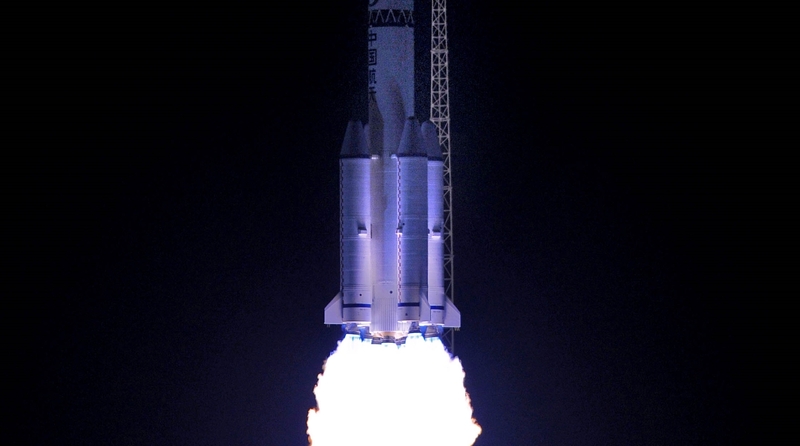 The first satellite of the series, Tianlian 1-01 (32779 2008-019A) was launched on April 25, 2008, using the very first Long March-3C launch vehicle – CZ-3C Chang Zheng-3C (Y1). Launch took place at 15:35:07.852UTC from the LC2 launch complex at the Xichang Satellite Launch Center. Tianlian 1-02 (37737 2011-032A) followed on July 11, 2011, with the satellite being orbited by the Long March (Y8) at 15:41:03.700UTC, also from the LC2 launch complex. 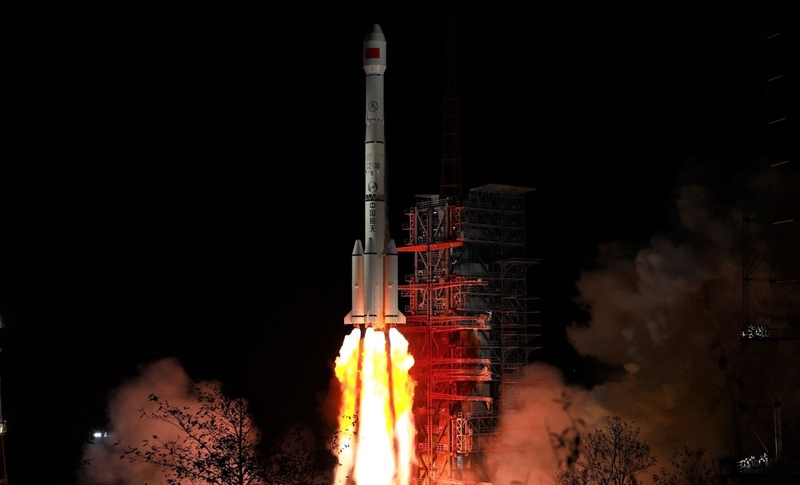 Tianlian 1-03 (38730 2012-040A) was launched at 15:43:03.769UTC on July 25, 2012, using the Long March-3C (Y9) and the fourth – and last – satellite of the first generation, Tianlian 1-04 (41869 2016-072A), was launched on November 22, 2016, using the Long March-3C/G2 (Y13) rocket at 15:24:04.194UTC. 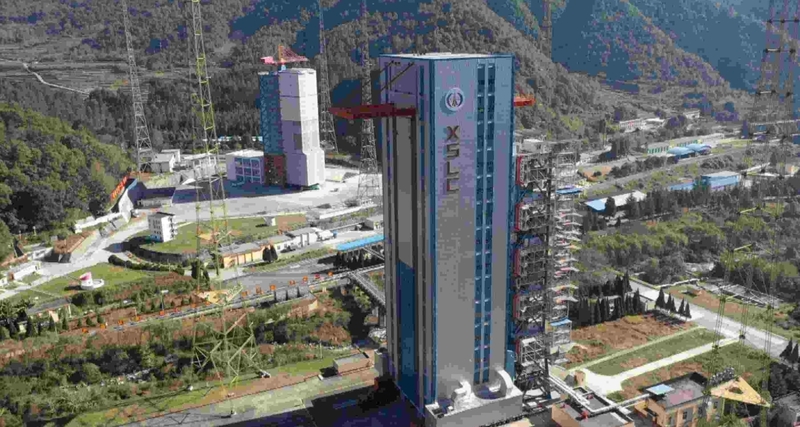 To meet demand of international satellite launch market, especially for high power and heavy communications satellites, the development of Long March-3B (Chang Zheng-3B) launch vehicle was started in 1986 on the basis of the fight proven technology of Long March launch vehicles. The engines of the Long March 3B lofting Nigcomsat-1R into orbit. Typical flight sequence for the CZ-3B/G2 sees the launch pitching over 10 seconds after liftoff from the Xichang Satellite Launch Centre. Boosters shutdown 2 minutes and 7 seconds after liftoff, separation from the first stage one second latter. First stage shutdown takes place at 1 minute 25 seconds into the flight.